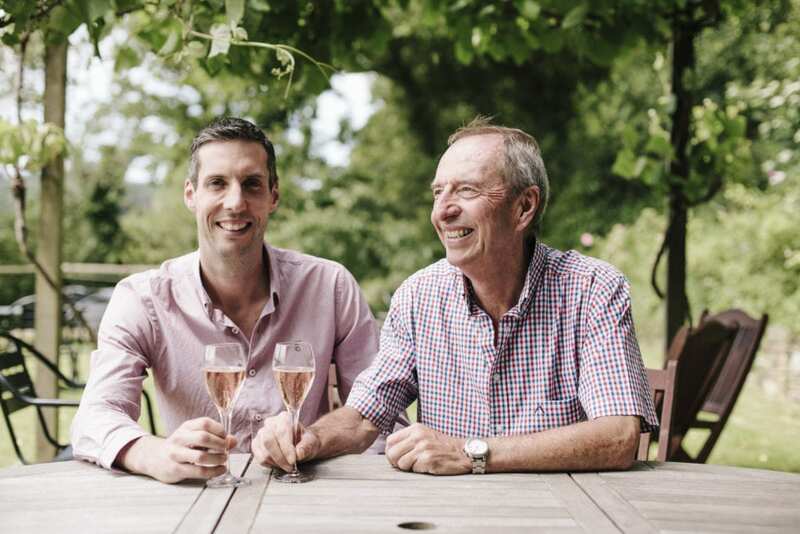 One of the most popular drinks on our menu is the Camel Valley sparkling rosé. Though invariably swathed in compliments such as as ‘sublime’ or ‘rich’ it doesn’t stop the Lindo family in charge from getting nervous come the season for Wimbledon. Less because of Andy Murray’s racket-swinging antics, of course, but rather because if the weather’s poor around that spot of summertime the crop will likely follow suit. With a full trophy cupboard and a loyal crowd of customers who’re willing to drive all the way to Cornwall’s hinterlands for a taste of their grape juice, however, they’re clearly favoured by the gods, so here we take a look at some of the reasons why the wine’s so celebrated. This is a wine that sends even the most tongue-tied into flights of rhetorical fancy. Some detect something of the English hedgerow, others a touch of raspberry and honey, but all agree they want more. Whiffs of floral and strawberry aromas dominate but there’s definitely a hint of cherry-blossom in there too. A delicate salmon meets peach pink. We trust our own judgment here at Carew Arms but it’s nice, every now and then, to know the entire world agrees with you. 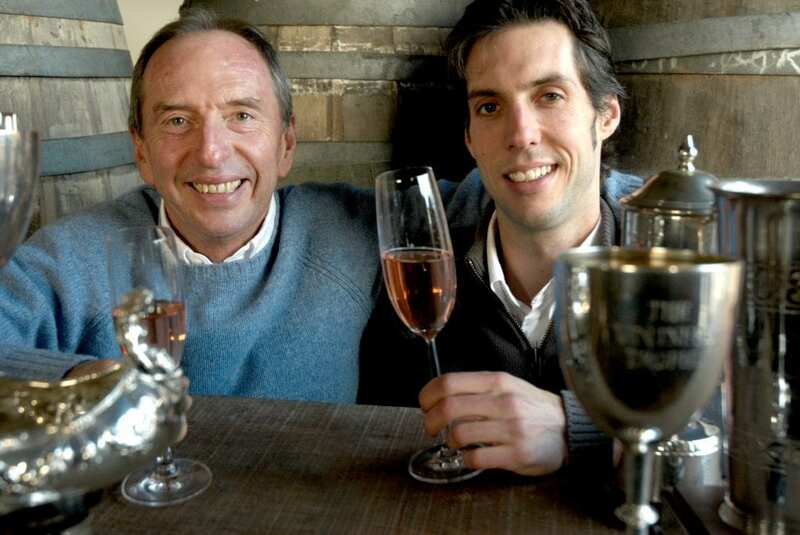 Praised by countless critics, the rosé has won almost every gong going – pipping big houses such as Bollinger to the post at several awards – but most notably the Camel Valley sparkling rosé notched 95 out of 100 points from Tom Stevenson, editor of Christie’s world encyclopaedia of Champagne and sparkling wine, making it kind of a big deal. Which, incidentally, it goes well with. Initially farming sheep and cattle, ex-RAF pilot Bob Lindo and wife Annie, watched their grass turn brown each summer in dismay. 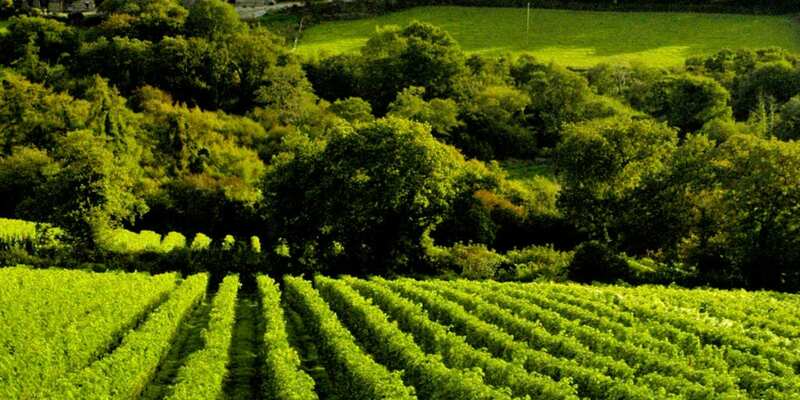 Now ensconced in Bodmin’s finest farmland, their seven hectares of vines (planted in 1989) flourish under a Cornish sun. Father-and-son team Bob and Sam Lindo run the show here. And despite the awards, it’s not the competition they’re worried about, preferring to focus on making the best out of the main materials they have: nature and sunshine. It’s not about pressing the grapes into a consistent style each year but rather engaging in the joie de vivre of making the most delectable wine possible out of what’s available from each harvest. British grapes contain higher levels of protein than their continental counterparts, which results in a much bubblier wine overall. Growing more slowly too means the acidity is juicier and can withstand a little more dosage – a quirk that means Camel Valley is often a tad more more-ish than the competition. Roughly equating to a Pinot Noir, the Camel Valley sparkling rosé should be drunk with serious seafood – which luckily we have sitting on our menu.